The View from Israel. 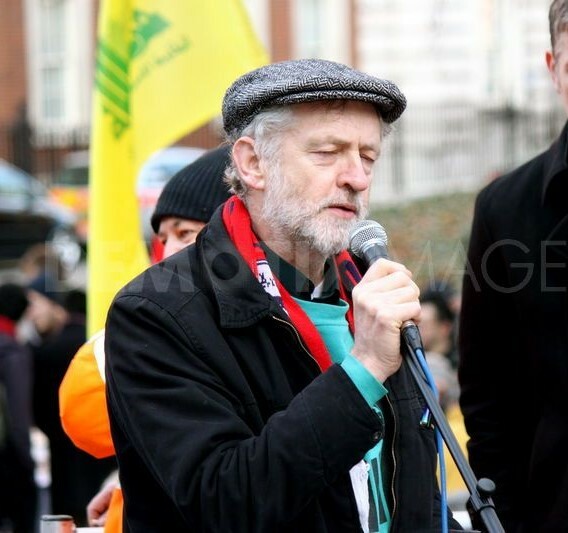 : The Corbyn and Omar Threat to Jews and Israel. The venom in both the British and American parties stem from the radical left, affiliated with an imported ideology, a red-green alliance, exploiting the political turmoil to advance their agenda. It is an agenda that will bring ruin to both countries. In Britain, the failure of the ruling party to satisfy the demand of the people, namely an affirmative withdrawal from Europe, known as Brexit, gave rise to the radical left Labour Party with ideas that will bring social and economic disaster to Britain. In America, a country ripped apart by a resentful Democratic Party, reeling after the embarrassing defeat of their revered candidate to an outsider in the 2016 Presidential election, opened the door to a new radical left with ideas and ideologies that will bring social and economic ruin to the United States. In Britain, the volume of blatant Jew hatred at local and national level within the left-wing Labour Party was met with protest by people within the party and by representatives of the British Jewish community to little effect. 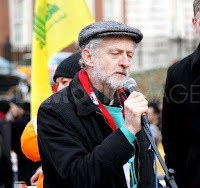 Even the demand for the Labour Party to adopt the full version of the official IHRC definition of anti-Semitism was answered by the adoption of a doctored version after a very public struggle. In America, as in Britain, anti-Semitic tropes are heard within the opposition party by newly elected members of Congress. In both cases, the targets were Israel and Jews. In both cases, the rhetoric stereotyped Jewish money and power, and the Jewish State as an evil and illegitimate entity. In both England and America, Jews have, traditionally, found political homes in the British Labour Party and in the American Democratic Party. Decades ago, both parties harbored the working class, and Jewish immigrants, fleeing the Holocaust, found political shelter there as they assimilated. As they prospered, they remained loyal to the parties they had adopted. Both parties supported the desire of the Jewish people for self-determination in their ancient homeland and the reconstituted State of Israel. It was the right and moral thing to do, particularly after the horrors of the Holocaust. Jews expressed their enthusiasm for both parties by voting for and supporting them. An American Jews saying was, “You’re born a Democrat, and you die a Democrat.” The same applied to Jewish Labour Party members. Jews became donors and delegates, rising to high positions in both parties. They were patriotic and effective leaders. She spoke at AIPAC, but she was addressing the Democratic Party that is experiencing the early signs of anti-Semitism dressed up in Anti-Zionism. She was telling them that things can deteriorate very rapidly when anti-Semitism is allowed to spread in a political party. She spoke about the downward spiral of Jew and Israel hatred that has infested her party, a party she recently walked away from after forty years as a member. Why did she leave, rather than fight the anti-Semitism from her position as a leading member and a prominent parliamentarian? Because she, like so many others, found that confronting the ogre from within was a desperately useless battle. Instead of admitting the problem and solve it there was a resistance against her protest from within her party. We can see the new anti-Semitism, loosely guised as anti-Israelism, infecting the Democratic Party. That party is also failing to adequately fix the problem. Joan Ryan and her colleagues have been joined by many others, both Jewish and non-Jewish veterans of a party they once loved, who left because of the grip on the party of those who harbor disdain for Jews and Israel. Americans should be made aware of a dangerous phenomenon in the increasingly hard left British Labour Party. There is a Soviet-style purging of party members that do not toe the party line and show total loyalty to the party and its leader. In the Soviet Union such people were shamed, or disappeared. In Britain, they are de-selected by branch officials, thereby overruling the will of the voter. Brits vote for their individual parliamentary representatives at local level. But, with the anti-Semitism scandal rocking the party, the party has struck back at the protesters, shaming and ejecting them. It is called “de-selection.” In effect, the local branch committee can remove a duly elected member on the grounds of bringing the party into disrepute. Protesting anti-Semitism within the party or criticizing Corbyn can lead to an elected member being thrown out of the party. It has echoes of Soviet-style tactics and, in essence, is anti-democratic. Luciana Berger, a prominent Jewish Member of Parliament, said that her Labour Party had become “institutionally anti-Semitic.” She received abusive anti-Semitic insults and death threats to the point that she needed a permanent security team to protect her from members of her own party. She was called “a disruptive Zionist” and worse. She faced two votes of no-confidence from the branch officials at her Liverpool Waverley constituency. In challenging this attempt to purge her, she said that she had made "no secret that, as a Jewish woman representing a city with a Jewish community, I have been deeply disturbed by the lack of response from Jeremy Corbyn as party leader and many in the wider leadership of the party to the anti-Semitism that stains our party." This flight of traditional Labour members has led to them being replaced by hardened leftists who vow allegiance to their Hamas and Hezbollah supporting leader and to their local party officials, making it a less tolerant party. How depth of radicalism in the British Labour Party could be seen at their last annual conference. In voting for their top ten policy priorities, Palestine was their main foreign policy issue, taking preference over Brexit, social services, welfare, the healthcare system, and local government funding. In effect, Labour members, including many trade union members, voted for Palestine ahead of issues that affect them personally and collectively. The process has begun. 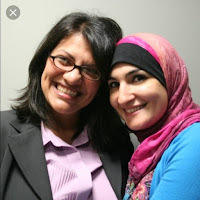 Rashida Tlaib did not wrap herself in the Stars and Stripes when she was elected to Congress. Instead, she draped herself in a Palestinian flag. 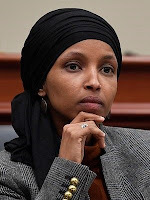 Newly arrived Ilhan Omar immediately hit out at Israel, its Prime Minister, Jews and their money. She quickly became quest speaker at a fund-raising event for an organization that had supported her campaign. CAIR is an organization professing to represent the civil and social needs of American Muslims. That would be fine if that was their agenda, but CAIR is the American Muslim Brotherhood with a proven identity of supporting Hamas, a designated Palestinian terror organization. And CAIR is now strutting the halls of Congress with confidence pushing aside anyone attempting to ask pertinent questions of their congressional representatives. Asra Nomani, a true Muslim reformer who wanted to address Ilhan Omar on her anti-Semitic remarks, was confronted by CAIR bullies who prevented her from speaking to Omar. It remains to be seen if CAIR, Omar and Tlaib represent all that is best of Islam in America. Up to now we have seen the hateful, anti-Semitic, anti-Israel side of all three. 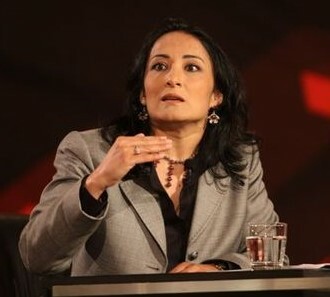 I can personally vouch for the veracity of Asra Nomani as a genuine peacemaker and reformer having had the honor of sharing a stage with her at a Conference in Jerusalem a few years back. If Asra Nomani were in Congress, instead of Ilhan Omar, we would have more confidence in the future of the Democratic Party and America.